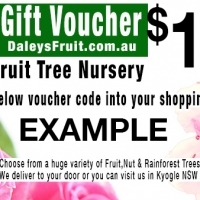 Daleys Fruit Tree has Plants for Sale to Toongabbie (nsw) and can Mail Order them to you door. Click to Find out how much Freight Will Cost. 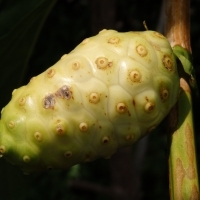 Medicinally this odd looking fruit is said to cure everything from stone-fish wounds to digestive upsets to far more serious disease. A concoction from the bark, leaves, roots and fruit can be drunk. When ripe or overripe the skin of the fruit becomes almost translucent and the flesh turns soft to develop an unpleasant odour. 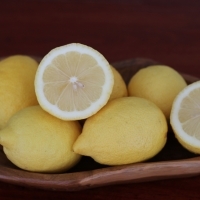 The odour has led to nickname of the 'starvation fruit' due to the fact that you would have to be starving to eat it as a fresh fruit. Strictly tropical climate only. A proven early variety that is still very popular today. 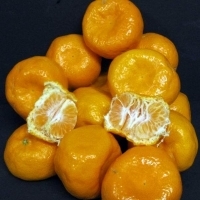 Excellent colour and flavour; the skin is smooth, glossy, thin and easy to peel. Older trees may develop a biennial bearing habit. Dwarf trees grow to about 2m tall.